Stevenage recorded a back to back win over Carlisle and Grimsby Town. They have played ten league games; they have won five, drawn three and lost two putting them at position four on the table with 18 points. They have been prolific at home having lost one game in the five home league games. Following a 3-3 draw with Oldham, Colchester suffered a 2-1 loss to Bury at home. They are below the host with two points having won four games, drawn four and lost two. They are unbeaten away from home having drawn in four games and won one. 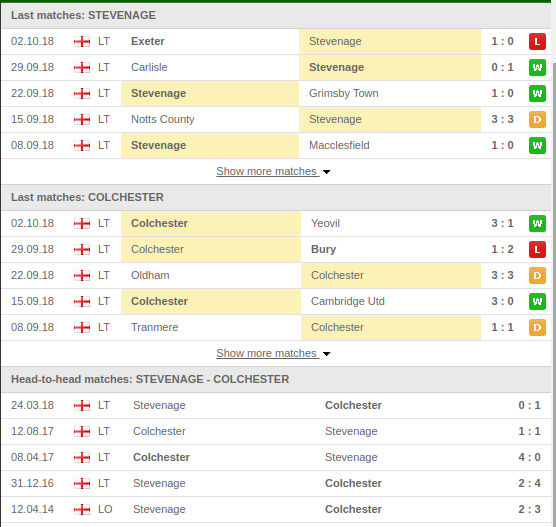 Colchester have dominated in their meetings with Stevenage having won four games and drawn one in their last five meetings with Stevenage. How will this game end? 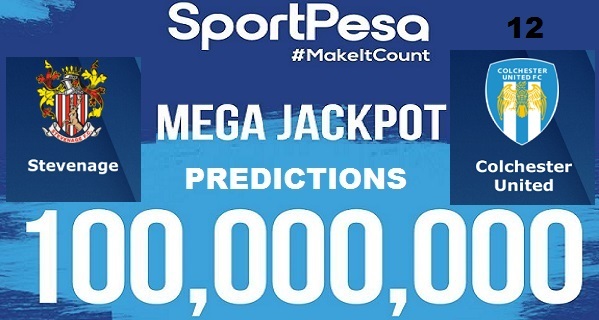 Copyright 2019 Sportpesa Tips. All Rights Reserved.